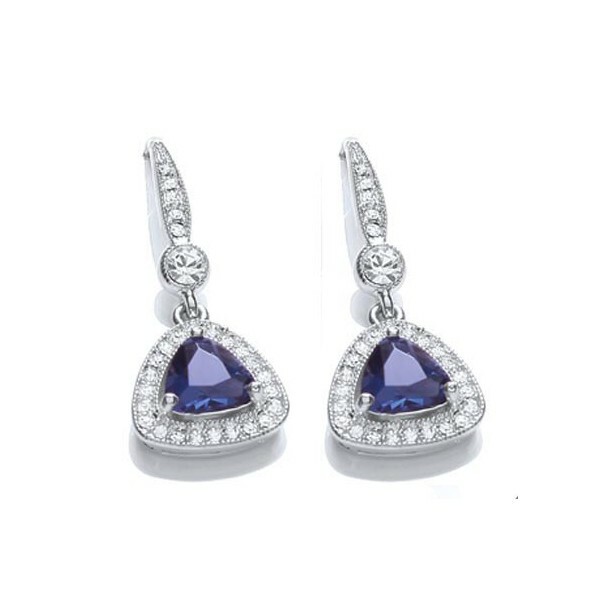 These exquisitely glamorous Buckley London earrings, hand set with a stunning trillion-cut sapphire glass centre stone add a pop of pretty colour. 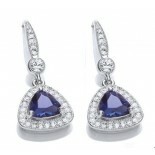 Finished with delicate millgrain, these are a dazzling choice for yourself or a stylish loved one. Matching pendant (GN1040) and ring (R450) also available.